I've seen 176 individual live performances in 2009. These 25 are my favorites. I favor pop songs that make me laugh, cry or want to smash stuff up. 2. Regina Spektor- "Laughing With"
3. Kid Cudi- "Day 'N' Nite"
5. Soulja Boy- "Turn My Swag On"
6. The Lonely Island- "I'm On a Boat"
7. Eric Church- "Love Your Love the Most"
8. Taking Back Sunday- "Sink Into Me"
9. Scooter Smiff- "Head of My Class"
10. GS Boyz- "Stanky Legg"
2. Tech N9ne- "Blown Away"
4. Ron Ron- "Hey Honey"
5. The ACBs- "You Did It Once"
"I Want You Back." Michael Jackson was always a part of my life. "ABC." I bought the 45. The Jackson 5ive. The Saturday morning cartoon series wasn't as nearly good as Fat Albert or as mind-blowing as Land of the Lost, but I watched it religiously. "Ben." The theme song from a creepy movie really hit home for me. It remains my favorite MJ song. "Dancing Machine." Girls are starting to become interesting. "Don't Stop 'Til You Get Enough." Driving. Dating. Drinking. "Billie Jean." Cable television changed everything. And not for the better. "Remember the Time." The 1992 hit marked the end of my run with Michael's new music. And yes, if you must know, I shed a few tears after I heard the news. I cried for both of us. "Most people would turn you away/I don't listen to a word they say./They don't see you as I do/I wish they would try to." I caught Talib Kweli's disastrous "show" Thursday night. Here's my review. Nas and Damian Marley's collaboration Friday will likely be my top show of 2009. Here's my review. I attended the Kansas City Kansas Street Blues Festival on Saturday. Here's my review. Last night, I caught Conor Oberst and the Mystic Valley Band with Deep Sea Diver and Michael Runion. Here's my review. Kansas City Click: "Roadrunner roadrunner!" Jonathan Richman may or may not perform his seminal song when he appears tonight at The Record Bar. AfterGroove play jazz fusion at Jardine's on Tuesday. 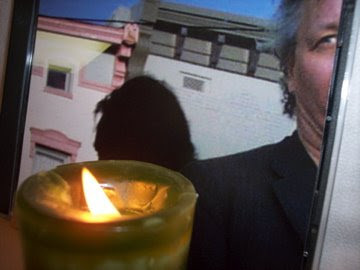 Sky Saxon of The Seeds died today. 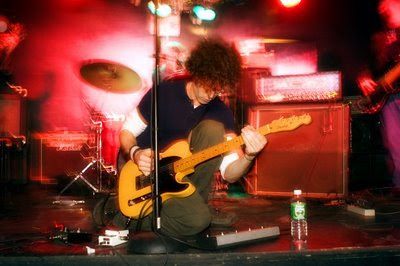 Here's an appropriately lo-fi live video shot last November. Hear me sputtering and stammering about the state of Kansas City's jazz scene on the archived version of KCUR's Up To Date. Kansas City Click: Talib Kweli, Pete Rock and Reach band together tonight at Crossroads. Nas (or as a local promoter called him in an email solicitation yesterday, "Noz"), Damian Marley and K'Naan team up Friday at the Beaumont. The Kansas City Kansas Street Blues Festival runs Friday and Saturday. The Lonely H, a band featured at There Stands the Glass in 2007, are bound to puzzle the regulars at Jerry's Bait Shop come Sunday. 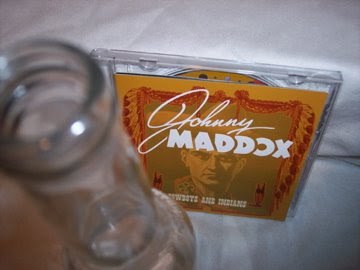 Although he sold millions of units and has a star on Hollywood's Walk of Fame, Johnny Maddox, 81, seems to be almost entirely forgotten today. The "King of Ragtime," 81, explains his career in this video. It's an amazing document on several different levels. In the excellent liner notes of Cowboys and Indians, Maddox explains that "Indianola" is a "World War I song about the Indian Chief that wanted to scalp the Kaiser." Yeah, it makes me squirm a bit too, but the 1984 recording is quite charming. The ill-conceived and unrelentingly cynical B Is For Bob makes me very angry. I listened to the entire "Kidz Bop"-esque project, however, largely because the sound quality is the most astonishingly vivid Bob Marley album I've encountered. I had reserved a spot on my year-end top ten list for Far, Regina Spektor's new album. Boy, am I disappointed! It features even more of the irritating vocal tics that I'd hoped she'd abandoned. "Folding Chair,"' for instance, includes the line "I've got a perfect body but sometimes I for-ge-eh-eh-eh-eh-et." And then she makes goofy dolphin sounds. Cute? Try annoying. I still believe "Laughing With" is a song for the ages, however. Ali Akbar Khan has died. I wouldn't be surprised if David Cook agreed with my assessment of his homecoming performance Saturday. Even so, I knew I'd catch heat from Cook's ardent supporters in the comments. It's good stuff. I understand hysterical fandom- I squealed like a nine-year-old Hannah Montana fan when I learned that The Pogues were coming to Kansas City. I've yet to see them. Tech N9ne has a "featured playlist" at MySpace. It includes "Bohemian Rhapsody," "Riders On the Storm," System of a Down, Jamie Foxx, King Gordy, Collie Buddz, Avenged Sevenfold and the theme from Halloween. I'm pleased that there's finally a Black Eyed Peas' hit that I can feel good about. Kansas City Click: Olympic Size play Tuesday at Czar Bar. Phoenix play a "secret" show Wednesday at The Record Bar. Barry Beckett died last week. The man was so pervasive that he played on or produced at least a dozen tracks that have been featured at There Stands the Glass. One of his later credits is as co-producer of Sonia Dada's My Secret Life. I've heard people talk trash about the band because of the founder's background. Behind-the-scenes intrigue doesn't interest me much. It's the music that matters. 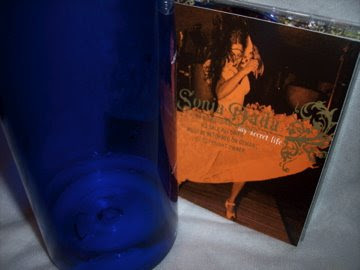 And while I'm not a big fan of jam-flavored R&B, Sonia Dada was undeniably skilled in the genre. As heard here, Beckett brought out the best in them. I almost drove off the road when I heard "Love In the Hot Afternoon" during an oldies segment on a country radio station today. The Gene Watson song romanticizes an illicit exchange with a "Bourbon Street lady." After "we got high in the park this morning," the narrator explains, they consummated their encounter. The (possibly underage) woman then slumbers "in damp, tangled sheets." The song hit #3 in the country charts in 1975. That couldn't happen in today's climate. I adored Karrin Allyson's early set at Jardine's last night. Here's my review. Kansas City Click: Chris Hillman appears at Knuckleheads on Thursday. Zany art kids are responsible for the fourteen-band Chomp Womp Soda Fest Friday at the Pistol and the Foundation. Here's a taste of last year's shenanigans. Blue October serve as one of David Cook's opening acts Saturday at Sandstone. A bevy of local blues bands play a benefit show Sunday afternoon at BB's Lawnside BBQ. "Give me a crowd that's redneck and loud," Eric Church demands on "How 'Bout You". He didn't get it Sunday at Country In the Woods. Only a small percentage of men at the free concert could relate to lines like "my best blue jeans have Skoal rings" in "Guys Like Me". The sedate, family-oriented crowd was worlds removed from the honky tonks where Church's music rings truest. So when Church suggested that the audience of about 1,500 "Pledge Allegiance To the Hag", he didn't find many takers. Church was opening for Emerson Drive. I have a weakness for their big hit "Moments", but it frustrates me that softer-edged artists of their ilk are favored by the country music establishment while new proponents of the outlaw tradition continue to struggle. The alt-country crowd doesn't offer much support, either. They don't dig Church's irony-free patriotism and proud religious faith. Don't worry, Eric. Sinners like me intend to stick with you. What a weekend! I saw Rancid, the Riverboat Gamblers and Rise Against on Friday (I concur with this assessment), Summer Jam on Saturday (here's my review) and Church's show. Kansas City Click: The Blue Room hosts a jam session every Monday. The new album by Kansas City's mighty Architects is streaming at MySpace. *My current obsession is Mobb Deep's "Eye For an Eye (Your Beef Is Mines)". LaLa is changing my life. *I'm positively ecstatic that Mojo magazine gave my Kansas City jazz site, Plastic Sax, a modest write-up in its June issue. Kansas City Click: British R&B group The New Mastersounds appear at Crosstown Station tonight. Robert Moore of Sonic Spectrum curates an anniversary party at The Record Bar Friday and Saturday. KPRS' Summer Jam returns to Sandstone on Saturday. *Kirk Whalum appears at a Juneteenth celebration Sunday. It's only appropriate that as I sadly note the recent losses of singer-songwriters Kenny Rankin and Jeff Hanson I spotlight an exceptionally promising newcomer from the same tradition. While neither as mellow as Rankin nor as insular as Hanson, Will Dailey shares the melodic sensibility and respect for the art of song that marked the careers of both late artists. Torrent, Volumes 1 & 2, Dailey's new major label release, will immediately appeal to fans of the commercial roots-rock trinity of Counting Crows, Matchbox Twenty and Train. A couple of Dailey's songs also evoke the soulful side of Jason Mraz. But hipsters need not turn away in horror. The album brims with power pop jangle. Besides, Roger McGuinn is in the house! The brawny live track featured here pays homage to Phil Spector via Tom Petty and Bruce Springsteen. Dailey dismissively sings "we want riches,darlin'/we want fame" on "Down the Drain." Whether he wants it or not, Torrents is precisely the type of undeniable statement that precedes untold glory. Regina Spektor has one of the most annoyingly obsessive audiences I've encountered. Her freakish fans give me the creeps. But the joke's on me. Between the adorable new video for "Dance Anthem of the '80s" and the devastatingly brilliant new "Laughing With", I'm on the verge of becoming one of those cultish weirdos. I really like the new retro-style albums by Rancid and The Aggrolites. Before you ask, I have nothing strikingly original to add to the DJ Jazzy Jeff controversy. Kansas City Click: I'm tempted to take a peek inside Jardine's tonight to catch a bit of the site-less Carol Comer. The Crystal Method will blow speakers / be asked to play a different kind of music do whatever it is they do Wednesday at The Beaumont Club. Primarily because the two members of Audiovox are in my larger circle of acquaintances, I spent much of Friday night at Crosstown Station. It was a rare instance of finding myself moving in the right circles. That Audiovox was good was to be expected. Marty Bush and Brad Chancellor are veterans of several highly respected bands. What's surprising is Audiovox's sound. They're like a tougher- but no less melodic- version of Death Cab For Cutie. Just because Audiovox also knows their way around Bob Mould's catalog doesn't mean that the songs on their forthcoming EP aren't ready for Top 40 radio. Audiovox is a pop band. As a laptop emitted pleasant electronic gurgles, the duo showcased their seamless commercial viablity. With the proper exposure, Audiovox won't be playing to audience of just forty people much longer. Audiovox's CD release show is Friday, June 12, at The Riot Room. Kansas City Click: Gregory Isaacs croons at the Beaumont Club on Monday. (Original images by There Stands the Glass. 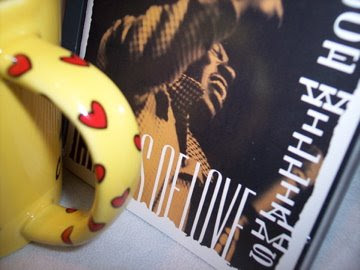 I consider myself very fortunate to have seen Koko Taylor perform many times. There was nothing like standing a few feet away as she began her shows with a mighty roar. Her voice contained a profound mix of joy, rage, lust and pain. She truly was, as one of her album titles suggested, a force of nature. Taylor died yesterday. 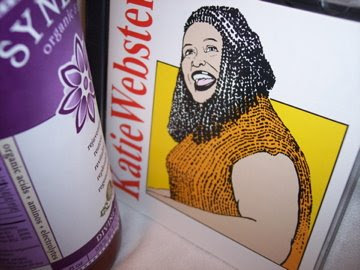 Because Taylor was featured at There Stands the Glass in 2007, I'll turn my attention to the late Katie Webster. While her sound and sensibility was vastly different from Taylor's, both women were outstanding, occasionally bawdy, blues entertainers. Much of that rare spirit is captured in this live performance. Less known than her later work, Webster's out-of-print '5os Louisiana recordings for J.D. "Jay" Miller are outstanding examples of bluesy swamp pop. As I suggested to a grieving friend yesterday, we might take solace by treasuring the handful of original giants still among us. Here in Kansas City, 92-year-old Myra Taylor certainly qualifies. Here's a new profile of the jazz and blues performer. Sam Butera died Wednesday. I intended to catch his show in Vegas. It's too late now. Jason Harper interrogates wacky kids who showed up nine hours early for tonight's Third Eye Blind show at The Uptown Theater. Kansas City Click: "International Harvester" is my favorite Craig Morgan song. I hope to sing along with Morgan tonight at the Power & Light District. Ruben Ramos croons Friday at Guadalupe Center. The legendary Sly & Robbie visit The Folly Theater on Saturday. Reunited noisemakers Coalesce are among acts appearing Sunday at the American Waste festival at The Beaumont. One of the most encouraging trends in recent years is the gravitation of young hipsters to funk-oriented jazz. 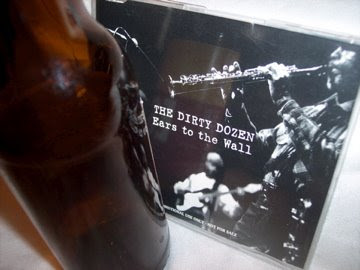 And music in that category doesn't get much funkier, or jazzier, than The Dirty Dozen Brass Band. It's a limited sample size, but I'm delighted to watch as several teenagers I know get behind New Orleans brass bands. There's hope yet. "Five Aquariums" is taken from Ears To the Wall, a promo-only title from 1996. I just stumbled upon this 1982 video of the Blue Riddim Band. It documents one of the most glorious moments in the history of the Kansas City music scene. (Don't miss the time stamp.) While I have no recollection of having been in attendance, I think that the goofball at 0:38 might be me. I'm enjoying Steve Pick's excellent "Albums of My Life" series at Lockwood & Summit. Here's my review of Rockfest. My life is simpler now that I've switched my Kansas City Jazz Calendar over to a Google Calendar format. Kansas City Click: Barclay Martin appears at Jardine's tonight. The Yeah Yeah Yeahs come to The Beaumont Club Wednesday.